The Prison Inmate Inventory (PII) is an evidence based prison inmate (male and female) assessment instrument or test. The PII consists of 161 true-false and multiple choice items and takes 30 to 40 minutes, on average, to complete. From test data (answers) entry, PII tests are scored with printed reports available on-site within 3 minutes. Behavior Data Systems (BDS) believes strongly in a specific test for specific client/offender groups. All BDS tests websites are listed on www.Tests-Websites.com. BDS tests research is set forth on www.BDS-Research.com. An example report of each test is available on that tests website. Prison inmates have a multitude of serious attitudinal, mental health, and behavior problems. 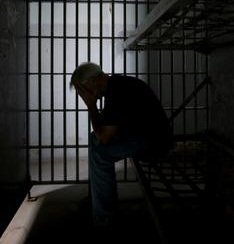 The incidence of adjustment difficulties, violence, antisocial attitudes, sub- stance (alcohol and other drugs) abuse and stress-related disorders among inmates exceeds the norms for all age groups. Effective remediation is largely contingent upon early problem identification. The Prison Inmate Inventory (PII) enables early problem identification and enhances inmate rehabilitation. The PII has been standardized on thousands of prison inmates and each PII scale (domain) assesses important inmate attitudes, disorders, and behaviors. Copyright © 1999. Behavior Data Systems, Ltd. All Rights Reserved.